This information is presented in the best format for clear understanding. I wouldn't change anything about the material or presentation of it at this time. The information acquired in this course was informative and has definitely changed my perspective as a healthcare practitioner. Wouldn't change a thing. This is the first time I have done my CEUs online, and I will definitely be doing it again! Thanks for making it so user friendly. Excellent course. It presented the information clearly and precisely. I would recommend this to anyone and will take more courses from the Institute for Integrative Healthcare. 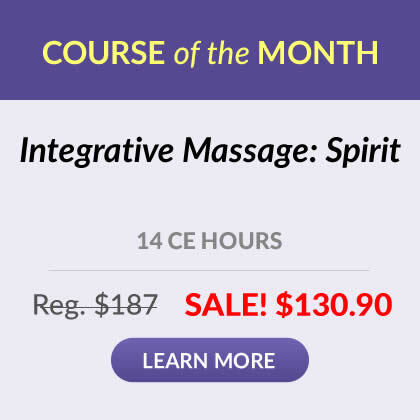 I found this course informative and very helpful to my massage practice. It is always good to review statistics and any new information concerning HIV/AIDS. Very clear and concise....Written in plain English....Yeah! Great presentation, of material I am not very interested in. So much better than other online courses I've taken in the past. Keep up the quality work! This was the best choice for me to meet the CEU requirements for my LMT license renewal. It was quick, efficient, and easy to understand! It was just what I needed; I had no complications at all! Thanks! I was very pleased with the information and only missed a couple of questions, that was just slip of the finger, other wise it was just fine. Thank you Kory ! Very informative class that translates well to massage therapy and everyday life. Great class. Though I am not a licensed massage therapist, I found this course informative about HIV/AIDS. It was a wealth of information made accessible and the online courses are always helpful because I'm a busy mom. Thank you. Very good information to know!! It's always benefical to review this topic! I thought the information was clear and easy to understand. As you know we are required to take this class every 2 years. So it is a familiar topic. However I liked the presentation of the course and the review was clear and to the point. The course was clear and increased my knowledge. Thank you for such an informative class on HIV/AIDS...I feel I can refer to this material if I have any questions and be fully informed. This course was informative and beneficial to my needs as a massage practicioner. Perfect for getting my knowledge up to date. Improved my understanding quite a bit. Thanks. Good Stuff! Learned a lot. I think the information was presented in an easy to read style which made it more enjoyable to read and understand. 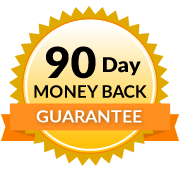 This program was very well laid out and easy to follow. I particularly liked how after all the information given, and at the end of the last section which was particular information for massage therapist, considering to be sympathetic, empathetic, and considerate to the patient or client was emphasized to remind us that they are equal human beings to us and not to be treated insignificantly or less than in any way because of their HIV staus. It also suggested that if a practitioner for any reason cannot perform the massage for any technical or biased reason, to make sure the patient or client rightfully gets the treatment they need and deserve by referring them to another practitioner. Very informative and one of the most thorough HIV/AIDS classes I have taken so far. Short, easy, to the point. Don't change a thing. This course is definitely informative, but I have to update myself with HIV/AIDS information every year for my full time job, so most of this was review for me. For the average person, it would be very helpful to read this information. I appreciate that the content was presented in an objective, nonjudgmental manner. No discrimination in relation to sexual orientation or sexual behaviors was present. I have a family member living with AIDS, and have seen how hurtful ignorance and judgment (even from healthcare workers) can be. 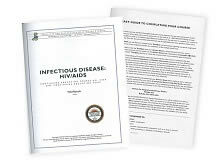 This course was perfect for me since I wanted the newest information regarding AIDS. The information was clear and easy to understand. The course presented pertinent information in a clear concise manner. I really appreciated that the test questions were not all in order corresponding to the course material. That requires students to read the text more closely which leads to better retention. Much of this was familiar information, and some was new, which was most welcome in a 1 hour course. Thanks! Information was clear and to the point. It kept my interest, and I felt I learned quite a bit, and was refreshed on information I had learned previously. I chose this course as it was a bit shorter so I could do it in one sitting with my kids home. Additionally, since it has been 16 years since graduating, I wanted to let go of any mis-information we may have learned. It was concise and well written. I will recomend your course to colleagues. Thank you for the CMTO list of approved credits for each. Great Information, clear and precise! Very informative and great content. Really liked the overall content and the way it was presented. Also the questions & how they were asked, that helped to allow the information in the material to "sink in" for my own life & for friends. It felt like it helped in "repeating" certain facts about HIV/AIDS that are so good/important to remember. I think the content is good to repeat every 2 years. Well done! Great to review this material. It is a good idea to periodically refresh my memory! Identify ways to become infected with HIV. Describe infection control procedures; clinical management and infection prevention strategies. Give examples of appropriate behavior for infection prevention.